North Staffordshire Hostas is a family business based in the village of Endon in the southern region of the Staffordshire Moorlands. The business was established in 2011 specialising in hosta plants. 300 varieties currently available. These are just two of the variaties of hostas we currently offer, details can be found in our catalogue. North Staffordshire Hostas attends a number of farmers markets, plant fairs and agricultural shows in the North Staffordshire, South Cheshire and West Derbyshire area. Plants can be purchased on the day from our stall. A list of venues to be attended during 2016 can be found within our 2016 Events Page. Home visits can be arranged by prior appointment. Please call 01782 502345 after 18.00 to arrange a visit. 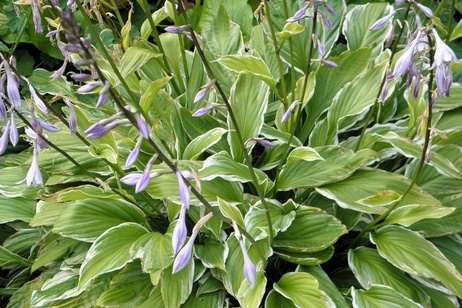 Hostas can also be purchased by placing an order either by e-mail or by post. Bare root plants will be posted out within 10 days by first class post. Orders will be despatched on a Wednesday so that plants can be received by Friday or Saturday of the same week. 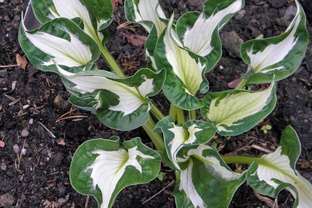 Payments can be made by cheque to :- North Staffordshire Hostas.